When you plan to have a home with a customised interior, you need to choose the ideal walk-in closet. There are a lot of colors and designs in the contemporary homes. People love to optimise their choice as per their convenience and requirements. When you choose a well-designed walk-in closet, it provides the much-needed boost to the interiors of the house. 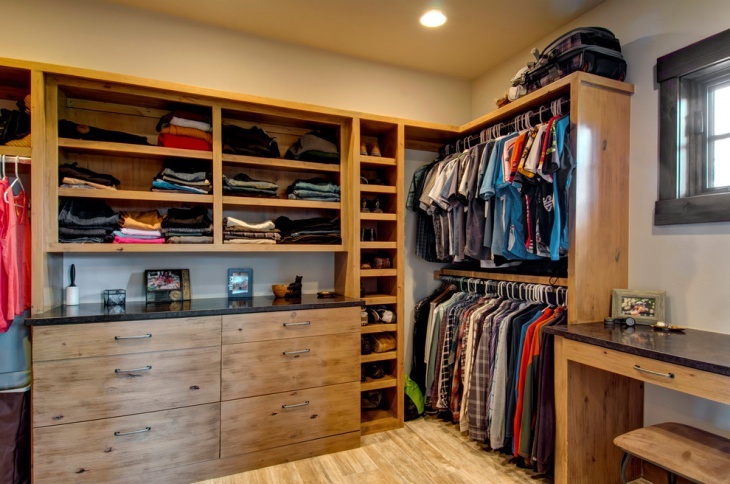 With the best Walk In Closet Idea, you can really bump up the looks of your home. Here are ten classy ideas about designing the closets, and you will find these elegant. Rooms with limited space need narrow closets and you can make judicial use of the space when you have a lot of features in a single furniture. You can hang the clothes on the robe hooks, place the cushions and other accessories on the top, use the lockers to keep important articles and use the decks to keep various objects. A customised dressing room needs this particular type of shelved closets, where you can keep your necessary belongings. Get a white closet and this will complement the spotless white paint of the room. Use the lower decks as a shoe rack. A single furniture can serve as a linen closet as well as a shoe rack. When you have a small room, incorporate this idea to make use of the vertical space in the room. A light wood colour will make it look nice, and you will get a number of decks to keep the clothes. 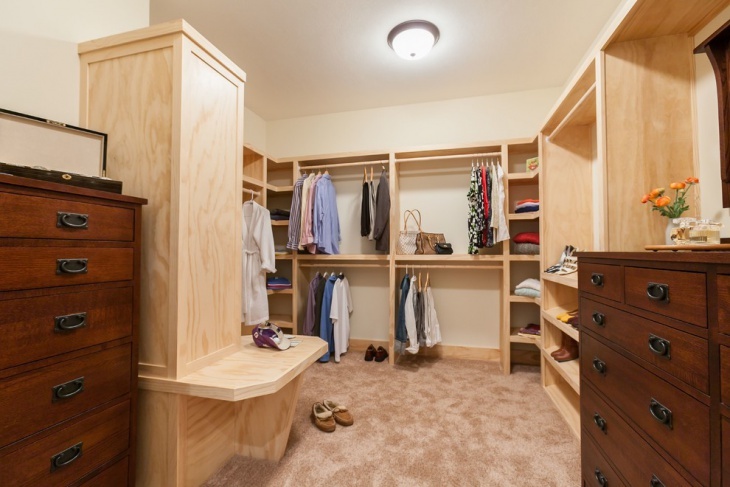 You will like a cedar closet with a space of handbag storage. This is a master bedroom closet and has space for shoes as well. You can incorporate this Danish Bedroom Furniture Design to get a classy look, and the closet shelves have a space for jewellery hooks as well. Well, you can get in touch with this awesome closet idea and get a royal look in your bedroom. The entire walls provide you space for a built-in closet. It offers you purse rack, bag storage, clothes row and everything you need. You can use the upper areas near the ceilings as shelves. You may like to beautify the ‘L’ shaped master bedroom closet with appropriate lighting. It is ideal for men, and install some bright lights along the interior of the closet, along the rods this will make it look bright and beautiful. If you find the right taste in a fancy room, opt for the pink wall idea with the closet. This is a multipurpose walk in closet and you can paint the walls in pink, with white round patches covering it. it comes with a good shoe display. You can have different tastes with the door of the walk-in closet. When you choose the brown colour for the closet, get sheets of frosted glass to make the doors. These look beautiful along with sliding closet doors. There are innovative wardrobe interior designs and you can use modern recliners along with wood stains when you crave for a beautiful closet furniture. A dark chocolate brown finish for the closets will make it look great. While making the decision about the closet, there are a few things to consider. The space available in the room determines whether you need to get a narrow one or not. The walls and polish of the room determine the material you can use for the exterior look of the closet. Both glass and wood look good for a perfect Walk In Closet Idea. You may have different ideas, so feel free to share them with us.